There was a small chain of events that prompted me to write today’s blog. 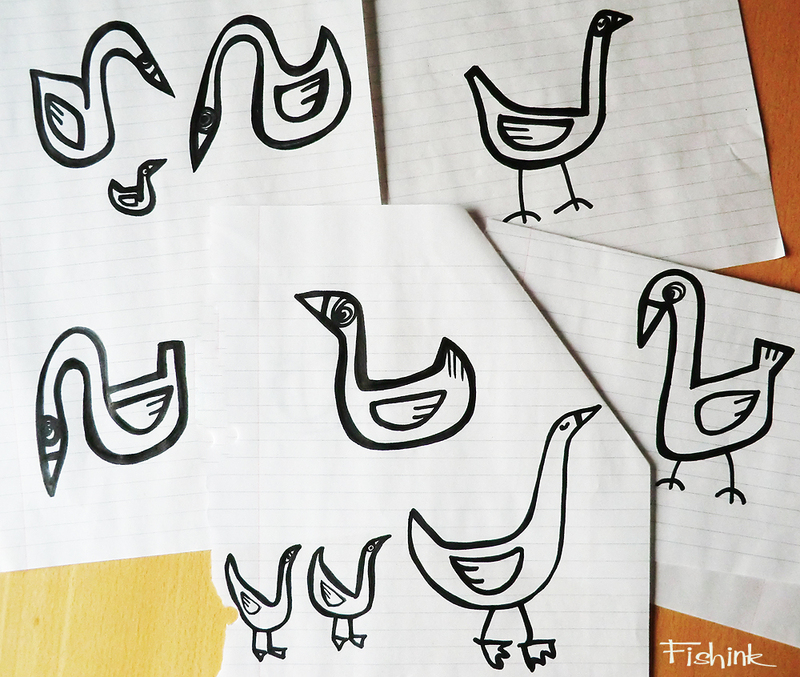 Firstly I started drawing geese (for no reason in particular) but I guess just enjoying creating their twisting shapes and their smooth curving lines. 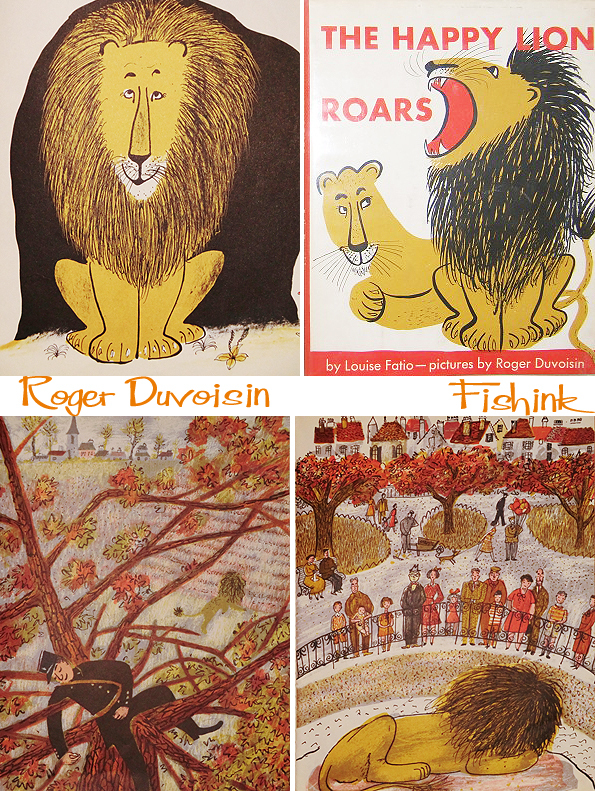 The very next day, I came across three copies of ‘The Happy Lion’ books,whilst on my travels. 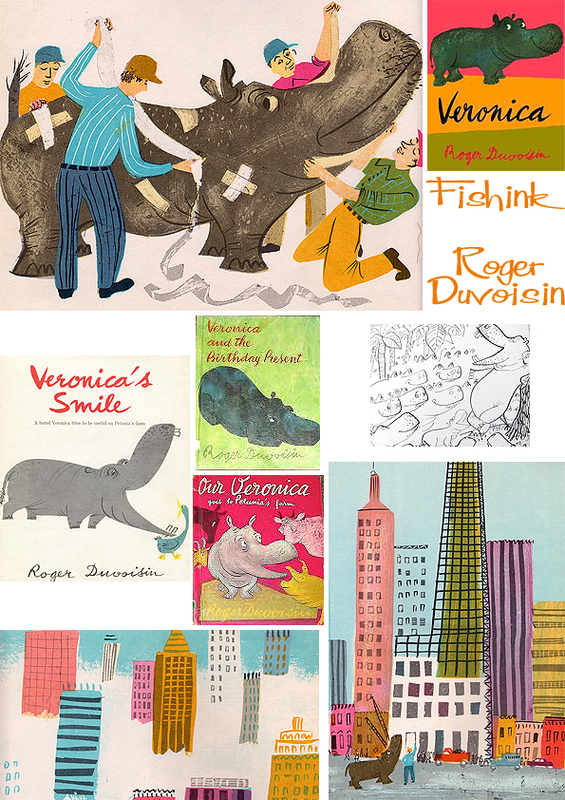 Of course when I saw the illustrations, I realised that I needed to know more about the fantastic work of Roger Duvoisin. 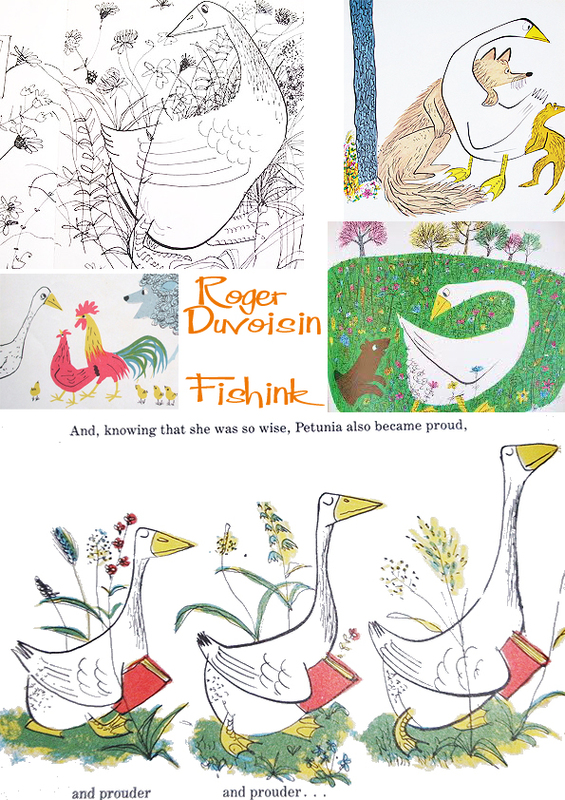 Through my research, I came across his drawings of Petunia (a goose) and soon it all seemed to fit into place ! So here we are. But before we get too excited about the work, let’s introduce you to Roger. 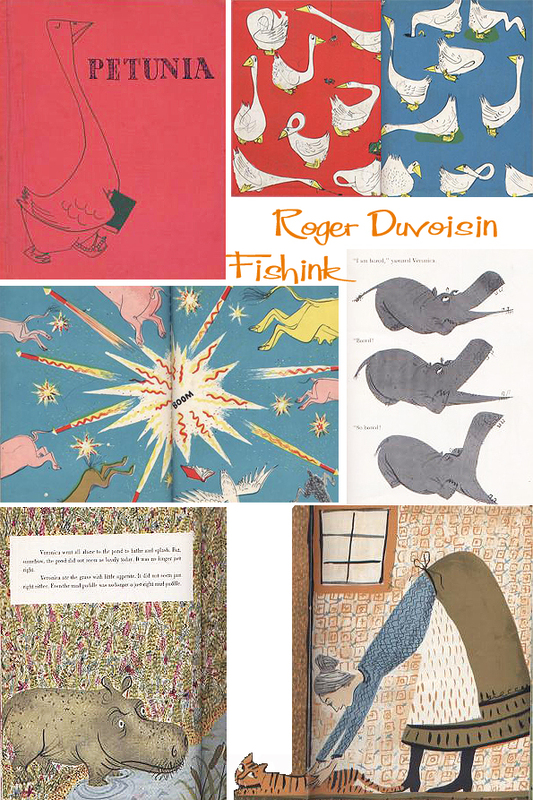 Roger Duvoisin was born in Switzerland, August 28th, 1904 into a family with a strong orientation towards the arts. His father was an architect and his godmother was a famous enamel painter. While Duvoisin showed early interest in the arts, there was some energetic familial discussion as to his education. 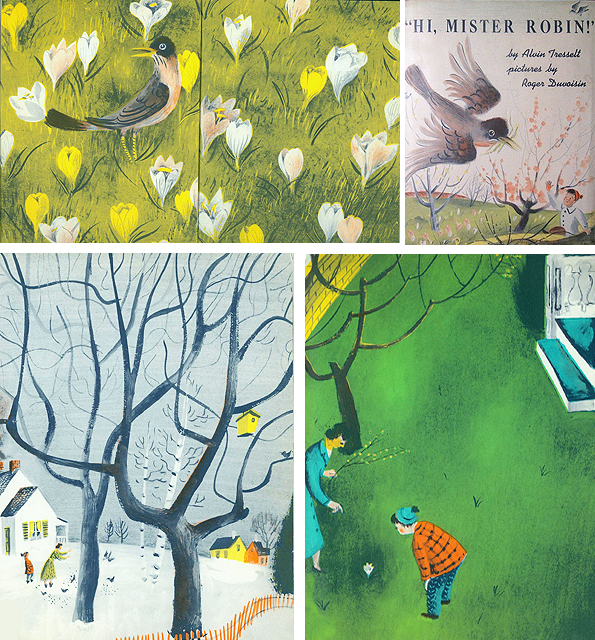 Roger did go on to master illustrating trees as you can see below ‘Sun Up’ in 1949.
and also in the 1956 book ‘ The House of Four Seasons’. 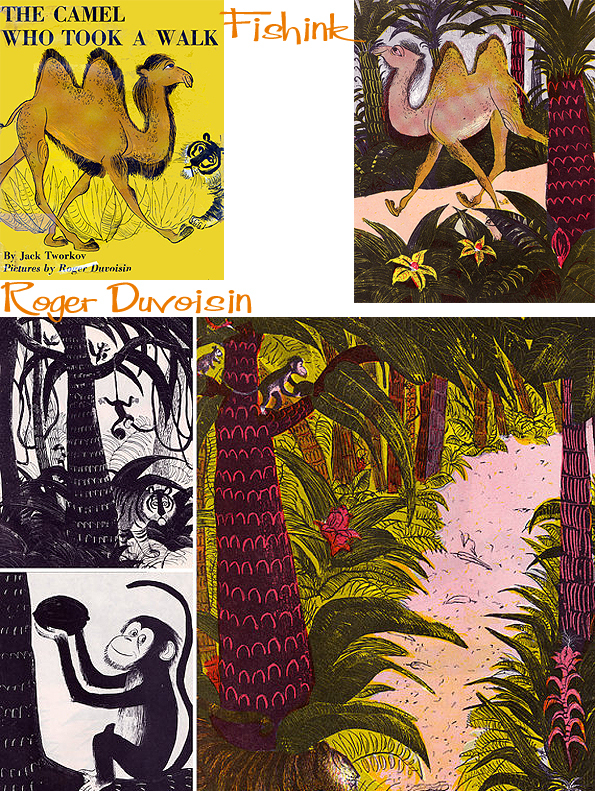 Graduating from art school Roger Duvoisin first turned his hand to designing stage scenery, theatre sets and posters for adverts. Next he became the manager of a French pottery plant. It was in this time, in 1925, that he married Louise Fatio. He was recruited into designing textiles which took him to Paris. In 1927, he was recruited by an American textile firm in New York to come and work for them. He made a commitment to relocate for a minimum of four years and he and Fatio moved to New York. The company he worked for went bankrupt in 1931, and he found himself, at the height of the Great Depression with a wife and two young sons, in a foreign land, and with no job. However, he loved living in America and had no desire to return to Europe (he became a citizen in 1938). Looking around for what to do next, he decided to publish a book that he had written and illustrated for his son. 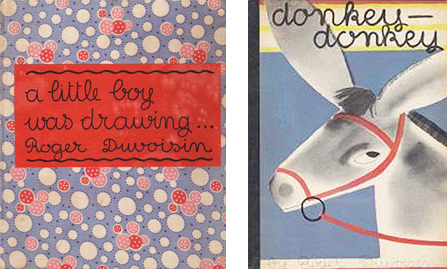 ‘A Little Boy Was Drawing’ was published in 1932. While his first effort did not make much of an impact, he was headed in the right direction. His next book, Donkey, Donkey (1933) was a big hit and has been in print ever since. With the success of Donkey, Donkey, Duvoisin was off and running. 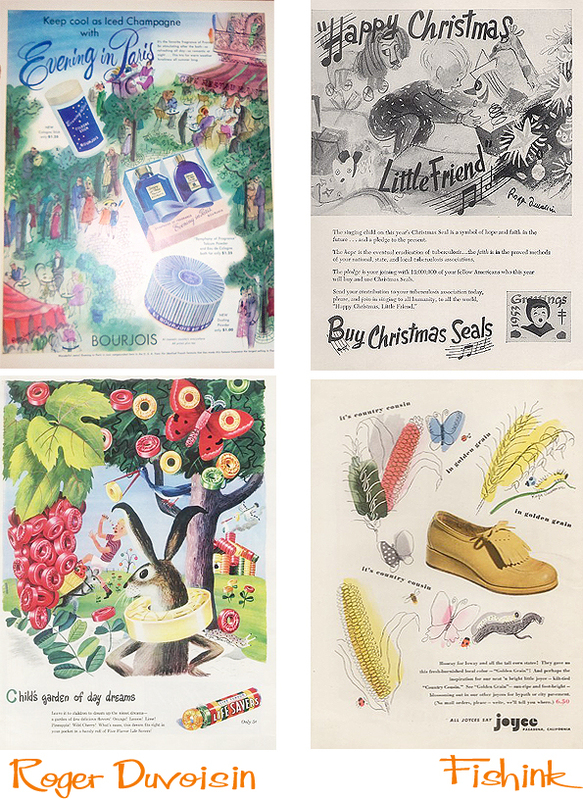 Here’s a few other covers from the 1940’s to 1960’s. 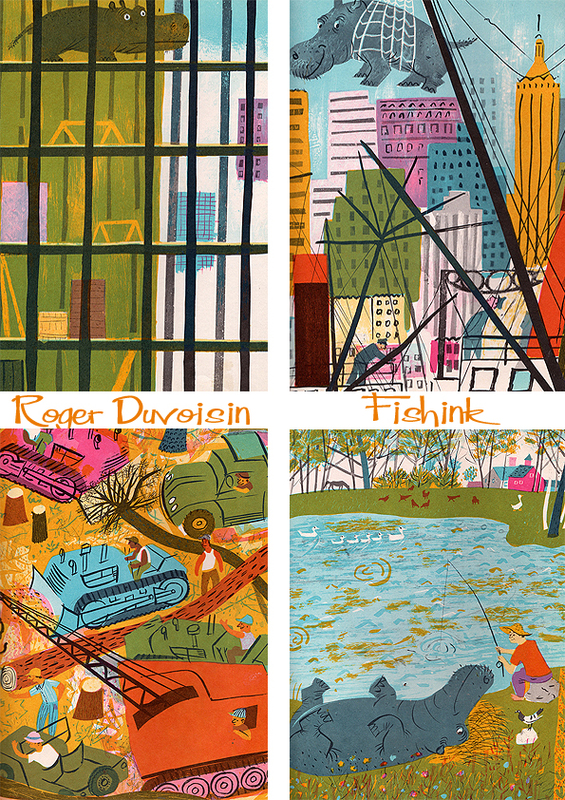 He also worked for the New Yorker magazine doing a number of covers for them in the forties and fifties. Duvoisin’s work has a number of characteristics. 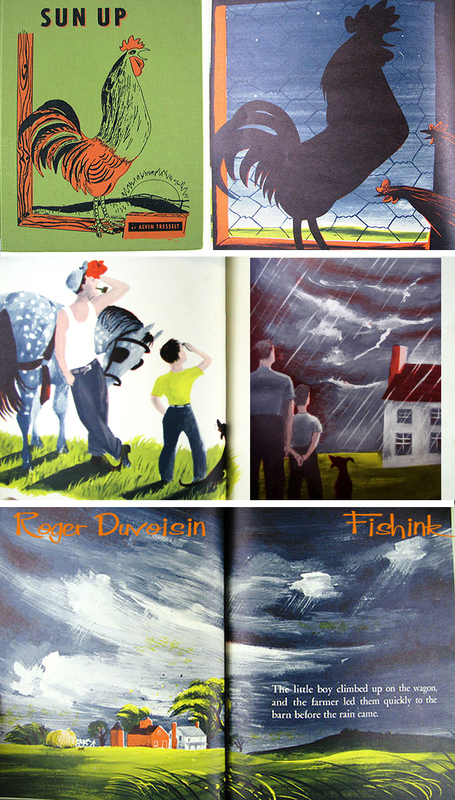 One theme is the role that animal protagonists play in many if not most of Duvoisin’s work. He loved animals and in 1939 he purchased a farm in New Jersey from whence he could work in New York but spend as much time as he wanted close to nature and animals. 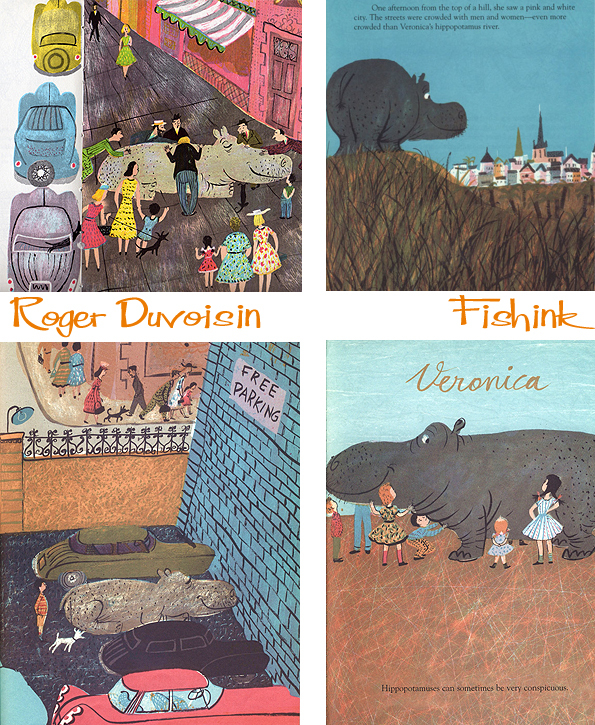 Petunia (the goose), Veronica (the hippo), and the Happy Lion are three of the animal characters for which he is most famous but there are also ducks, crocodiles (as in Crocus the . . .), whales, roosters and others. He often would write a story about an animal and then find that he had another story and then another to tell until he had fallen accidentally into a series. Duvoisin had a lot of happy accidents. His work equally looks beautiful in black and white as it does in colour. 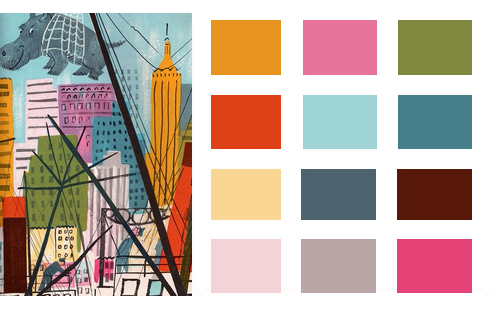 Roger had a great control of line and colour, for instance just look at his palette here. Superb ! 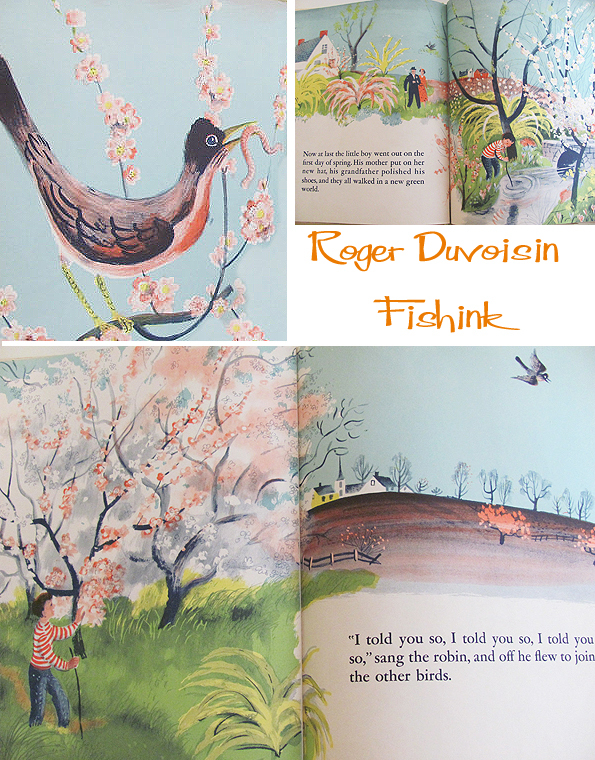 More about Mr Roger Duvoisin and his incredible work in a couple of days. Many thanks to ‘ Through the Magic Door ‘ for their biographical details, helping to make this blog posting possible. 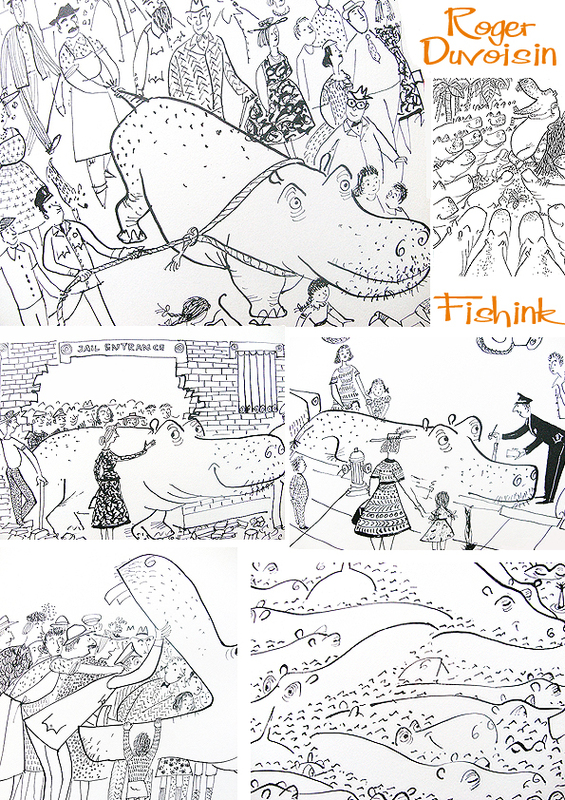 ← Fishink in Munich Part 6. Salzburg and dizzying heights of the big city. Way easier to see it now than it was to see it then! The 50s and 60s were a pretty drab time and people just didn’t have the disposable cash to have lots of stuff- especially American stuff! Love your blog. I guess Americana wasn’t available in the UK at all in the 60’s. I don’t know if you ever read http://www.billbryson.co.uk/books_thunderbolt.html The Thunderbolt Kid but it paints a great image of the times. 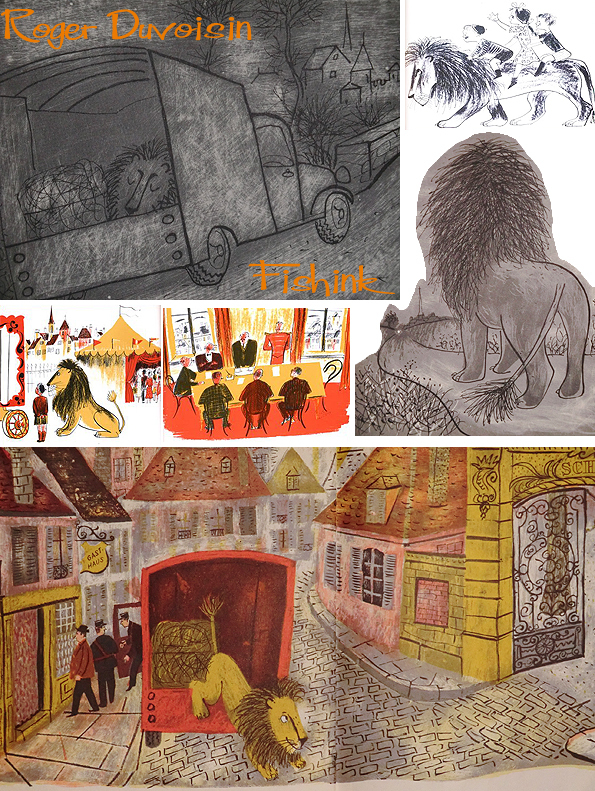 The illustrations are so wonderful, almost poetic. It took me back to my childhood when we had stories of such beautiful animals. Petunia is the best ! How lovely to be transported back to your childhood by images on a blog lol Hope it was a good trip down memory lane for you. Thanks for letting me know. More to come. Thanks Jil, his work is amazing. Thanks for the pointer. Hi Whistles, Thanks for your comment. I find it strange now to think how these beautiful works could have been so overlooked at the time and it got me wondering whether our appreciation for them has now grown or is it merely because we now can celebrate them en mass that they are easier to see and develop a fondness for ? I liked your blog too, I’m a big fan of Susan Cooper and you may also like this post from my friend’s blog too. 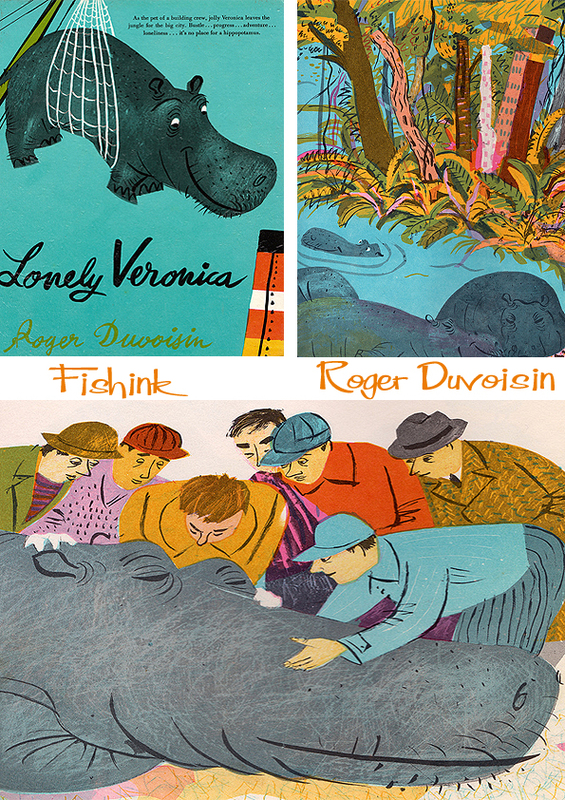 Roger Duvoisin was my beloved grandfather and it’s nice to see such a thorough post about his work. Well done. I am fortunate to have many of his original works, which I cherish and which my children, who unfortunately never knew him, cherish, too. He was as wonderful as his drawings. I am Roger Duvoisin’s granddaughter, Anne Duvoisin Fisher. It is gratifying to see such tribute paid to him. I have a number of his first editions as well as a number of his original New Yorker covers and cartoons. I am the model in a number of his books (the little girl with two braids). Hi Anne, how lovely of you to get in touch, I’ve also heard from Danielle too another of Roger’s grandchildren, perhaps a sister or cousin of yours ? If you have any images of further information that I could put into another blog post about your grandfather, then I’d love to put something together. You can contact me further here craig@fishink.co.uk. 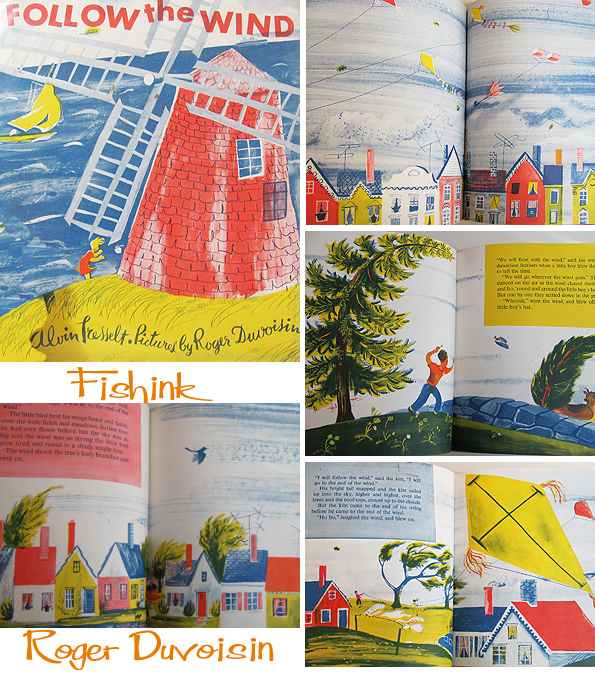 You’re so lucky to appear in his books too, a wonderful illustrative memory for you. Ei have a version of the Christmas Whale that is unlike any version i can find. It is green cloth cover with red graphics and on the page with the reindeers in bed with the flu on the right panel the first word is “curse” instead of “All” like in the other books. Do i have a misprint of this book or a very early version…cant find anything on line to help me identify this book! Sorry Debbi I wouldn’t know but it sounds like it could well be of value as it’s such an unusual print. You’d be best to ask a vintage bookseller who specialises in children’s books. Do let us know when you find out anymore.. how exciting ! Any Photos ? I would love to post photos, but it would not let me post here! Any thoughts? I appreciate this information. I can’t get enough of his illustrations! Do you know if and where one can go to see his work ? I am one of his three granddaughters. 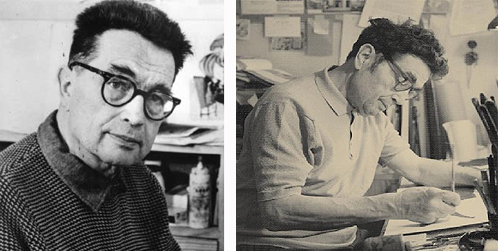 There is a wing dedicated to his work at Rutger’s Zimmerli Art Muaseum in New Brunswick, NJ. How’s books continue to be published abnd sold. They are also in most elementary school libraries. 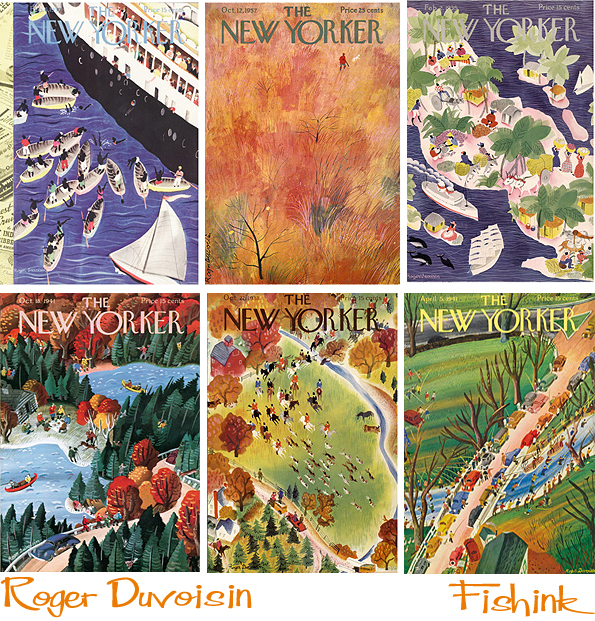 He did numerous New Yorker covers and spots. Copies can be purchased from the New Yorker. 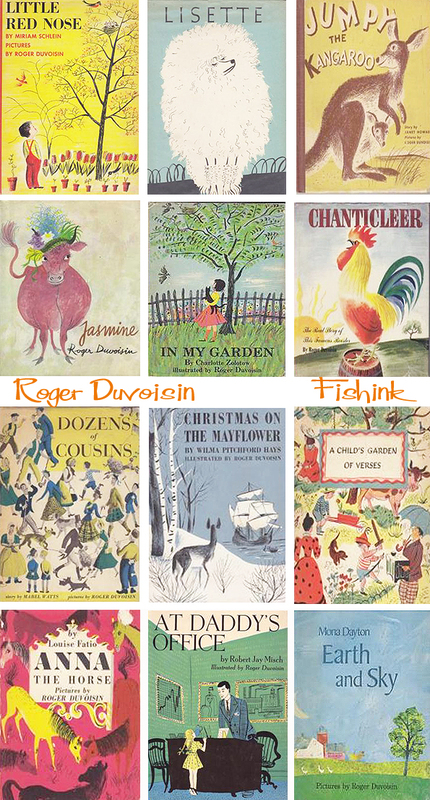 I and my siblings and cousins own many of the original covers and other works. He also did UNICEF Christmas cards each year. I recently found an original adult book he illustrated written by a New Yorker travel correspondent Calle “The Man Whi Could Grow Hair.” The book is pretty bad but the illustrations are great. Good morning! I believe I own the original proof of The Christmas Whale. I do not know how to go about finding out for sure and I would like to have the book appraised. Any Ideas? The cover is green with red lettering. Some of the story text is different and the text goes to the edge of the page. It is in fantastic condition. Do you know what kinds of painting that Duvoisin use? Poster colour or acrylic mixed with ink? Do you have any ref that can share how did he draw. Pls reply me in email as i cannot checking your site as once. Grandpere used water colors and collage paper. 3110 Edwards Mill Rd. 2317 Sunset Ave.